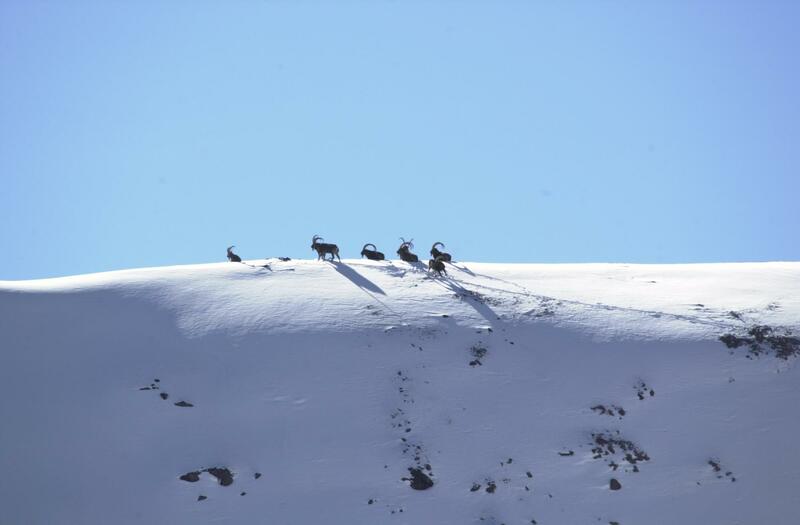 Ibex hunting season in Tadjikistan; it can be any time from august to march even if after the first big snow (Nov-dec), ibex will be at lower altitude. Terrritory is quite steep so hunts in summer-autumn are challenging. Ibex area is on the Pamirs road (6-7 hours from Dushambe) by the way it is quite « mineral ». There is also Wild boar in every valley just up to that lodge but also at 20 to 40 km. Wild boars than in big valleys with villages, agriculture, fruits trees or bush between Dushambe and Kulyab (or at one hour driving from Ibex area). Accommodation are in villagers home. Received in Tadjik tradition. Simple. Sometime we have a small hunting lodge in the territory where we have simple bed and a « bania » (local sauna from the Russian tradition). In some Ibex area there is hunting lodge quite comfortable.To guarantee the success best is to sleep in the local guide house or in light camp in mountain. Thursday: arrival early morning in Dushambe, to drive 4 to 7 hours hunting area. Hunt if possible. Night in village or hunting lodge. Assistance and clearance of rifles and ammo in the airport. Full board accommodation in the hunting territories. Night and meals in Dushambe (depend of the hotel category. The very new Hyatt can be negociate on Internet at cheap price for the quality. Check on the web.